There’s no person on the planet who is exactly like you. The way your eyes blink, your hips sway, and your chest broadens, is all uniquely YOU. To wish to have anyone else’s body but your own would be such a loss to this world. Because if you are not you, then who else will bring your experience, your perspective, your light to this planet? Self love isn’t about grasping for a perfect version of yourself. It’s loving yourself right now in the present moment, because you’re worth your own admiration. No one can love YOU the way you do. You don’t need to fix yourself to fit into any cultural mold. It’s out of LOVE for who you are, that you choose to feed and nourish your body with healthy foods and exercise. You deserve to be healthy and vibrant. Health begins in the mind, and that starts with loving your body for exactly where it’s at today. Where can you be more compassionate to the way you view yourself? This doesn’t mean that you have to grow complacent. It means that you choose to love yourself by being kind in the way you talk to your body. You love your body by treating it with respect. The body that has carried you from adolescence to this moment. The body which you experience every emotion and every success in. A body which gives you the opportunity to LIVE, and that’s absolutely worth loving. 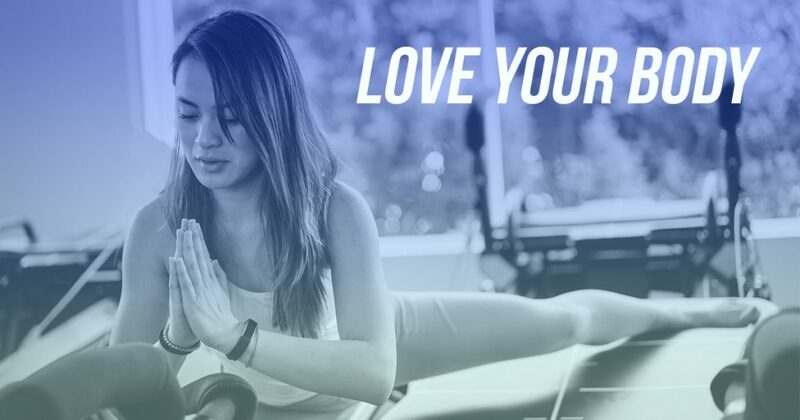 We challenge you to intentionally love your body this month. Look yourself in the mirror and know that you are enough, right now. You’re stronger than you think. If you feel inspired, join us in spreading messages of love and gratitude this week from 2/7 through 2/14! Use #LOVETOTHECORE, and we’ll repost your love notes.